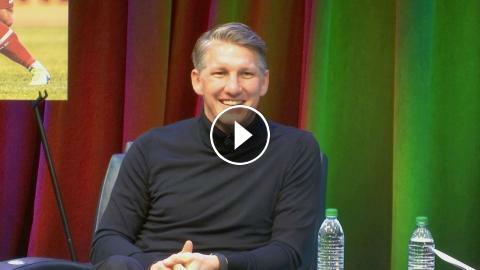 Soccer superstar Bastian Schweinsteiger stops by Google during a week of home openers of his Chicago Fire Soccer Club and the 2019 MLS season. He talks about goals with the Fire, his current life in the Second City (his second home now), his favorite American sports team and favorite current soccer player, as well as leadership style, the path to world football glory, youth moments, and opportunities for American youth players in MLS. A FIFA World Cup champion in Brazil 2014, Schweinsteiger’s decorated international career includes 24 goals in 121 career appearances for Germany including three FIFA World Cups (2006, 2010, 2014) and four UEFA European Championships (2004, 2008, 2012, 2016). At the club level, Schweinsteiger led FC Bayern Munich to the UEFA Champions League crown in 2013, a year in which he also earned Bundesliga Player of the Year honors. He also won eight Bundesliga titles and seven DFB-Pokal (German FA Cup) championships. Originally joining the Chicago Fire in 2017, Schweinsteiger is now playing his 18th season in professional football.